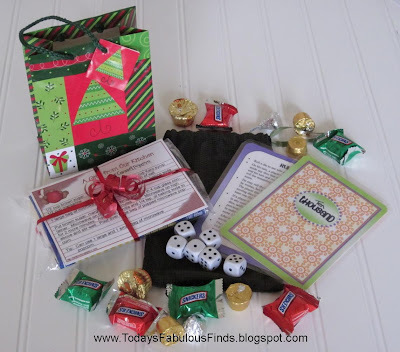 A Few of My Favorite Things--Year in Review and Happy New Year! I hope you have enjoyed seeing a few of my favorite babies, I mean projects from this past year. It is good to review, to see what was accomplished and to define where I want to go. 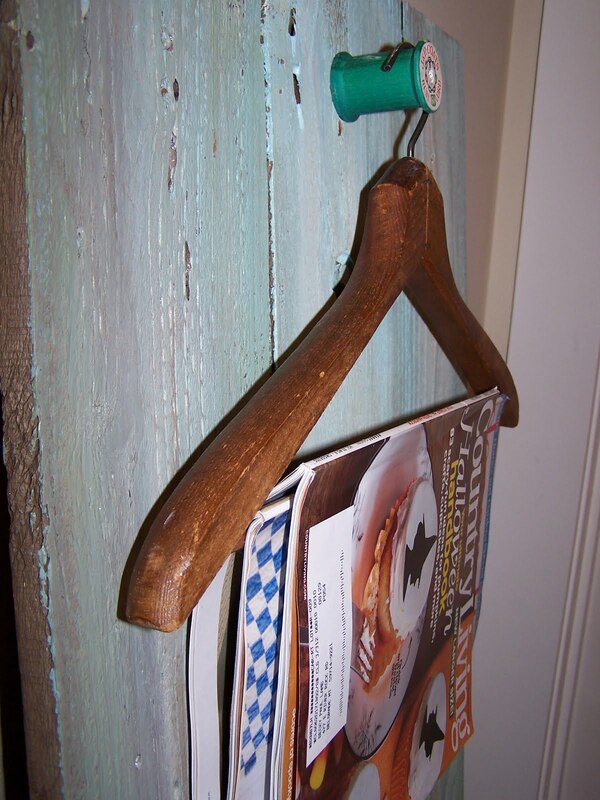 I chose this hanger thinger as my last favorite of the year. I liked the versatility of it and that is was made from scrap fence boards the neighbor was dumping. Happy New Year to you all--be safe! 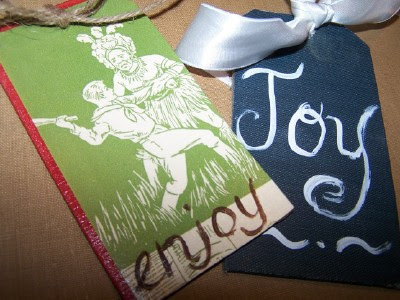 Looking forward to a creative and productive 2011! 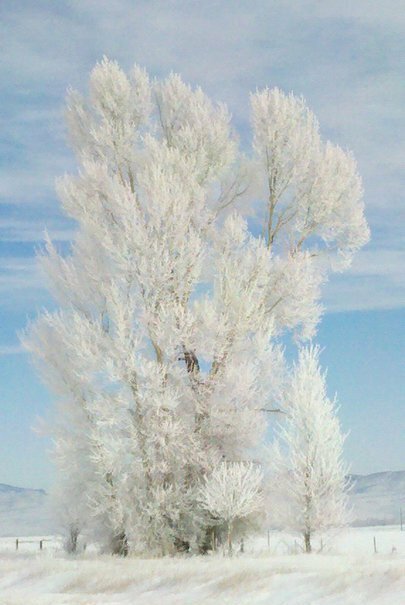 Thanks all for linking up to the Under $100 Party--keep on linking and visiting and commenting on each other's links. Another favorite from this past year was my porch primping that included a coffee sack skirt for my potting table. 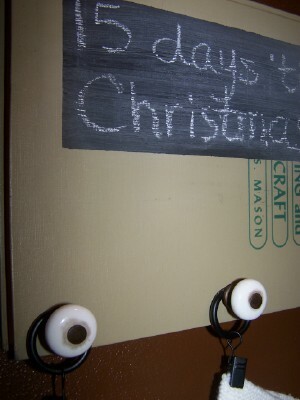 I thought for this last week of 2010 I'd recap a few of my favorite projects from the past year. I am sure it won't be easy--similar to picking a favorite child. I won't share the how to's again, you can go to the original post link for that. Enjoy! Thanks all for prayers for hubby. He got into see specialist and thankfully does not require surgery. However he has a very painful cyst wrapped around his spinal cord. They tried to get to it to drain it, but were unable to do so--did inject some steroids which helped for a few days, but he is back in bed now, legs up over pillows. They will try to get to it with a CAT scan to guide them. They told him today they couldn't get him until the 30th, but he told them that is unacceptable, he is in too much pain. They are supposed to be calling back tomorrow. It should be instant relief when they do it--please pray for a cancellation and that they can get him in before Christmas. I am exhausted doing all of the Christmas prep solo--not that he ever does a lot of it, but still no extra hands when I need it. I love this game in a bag gift--would make a fun New Year's Eve hostess gift--from Today's Fabulous Finds! Dream Home DIY planked an archway--very unique with dramatic results! 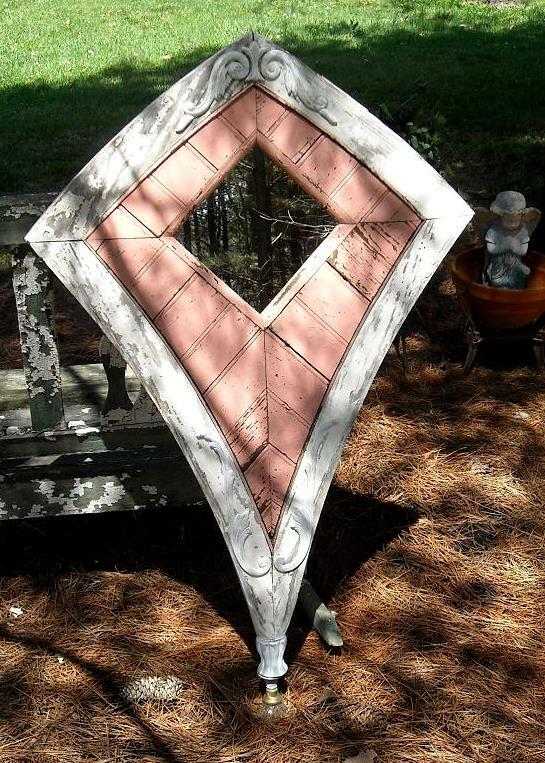 Salvage repurposed like this from Brambleberry Cottage makes me drool! 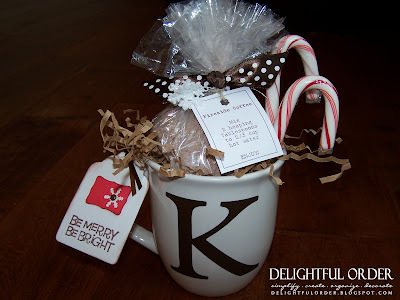 It is not too late to make this coffee gift idea from Delightful Order! 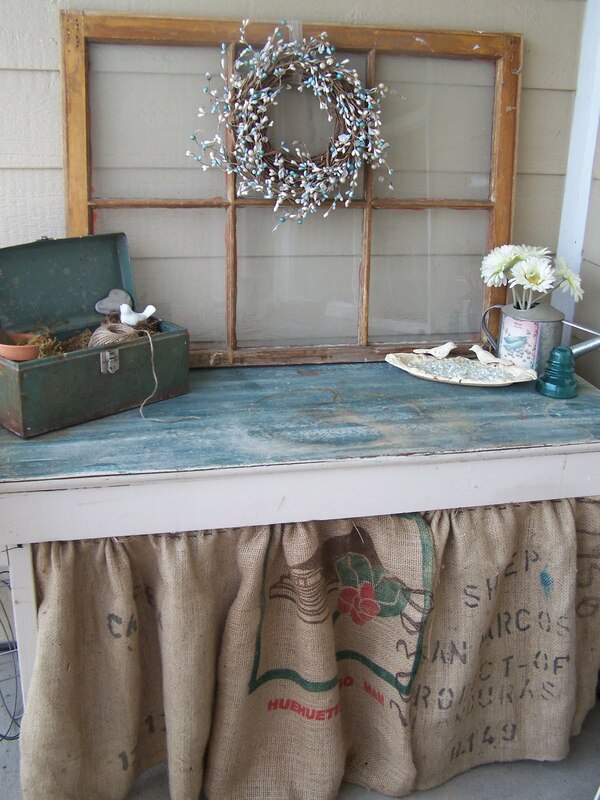 And Junk Fest's vintage sled centerpiece can be enjoyed all winter long! If you are not too crazy busy--get linking! Need a last minute gift? How about some wonderful organic sugar scrub? All this gift requires is a quick trip to the grocery store for a jar of organic coconut oil and some organic raw sugar. I came up with this concotion myself and love it. It smells divne too! I used a 30.6 ounce jar of coconut oil and 1 lb. of sugar--this made a BIG batch. Heat the oil in the microwave 30 seconds at a time (make sure to take the lid off!). Then in a glass bowl mix thoroughly mix the oil and sugar and spoon into plastic containers--you don't want glass in the shower. It hardens as it cools and is really nice consistancy to scoop out by the handful. I attached a little cricut card describing what it is. It is wonderful to use before shaving and gets rid of the dead, dry skin. I also put a cautionary note that the shower surface may be slippery after use. Try it as a gift for someone or for yourself! 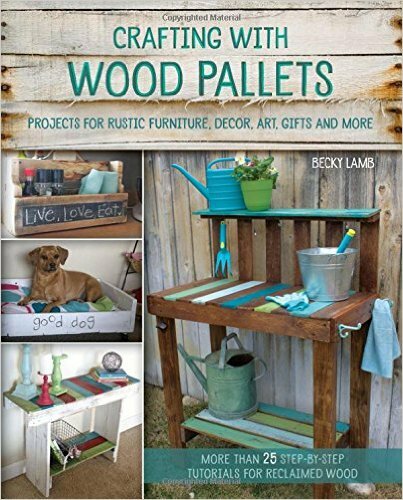 Find more ideas at Blue Cricket Design and Someday Crafts! I have decided it is time to reinstate Sunday verses. I originally quit for summer and never came back to it. But I miss it, so I hope that Sundays at Beyond the Picket Fence will be a time for you to find a word of encouragement. The verse has been a comfort to me as we waited for news on my husband and as we wait for him to heal. Waiting is not my strong point. 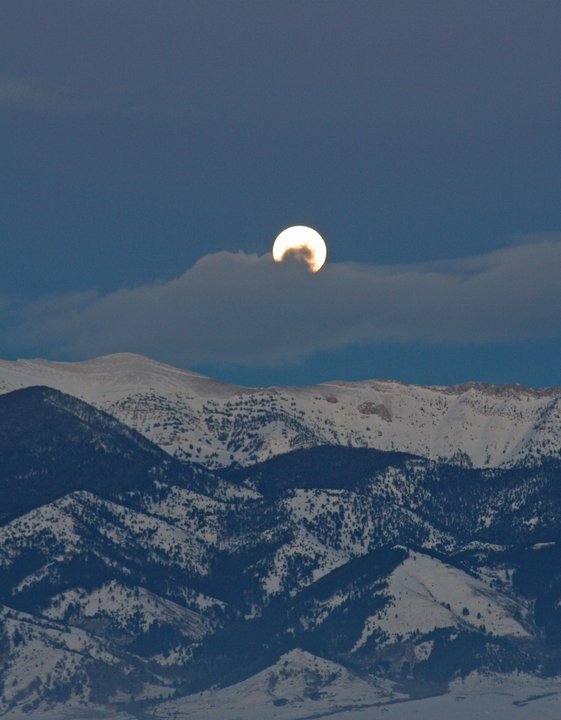 If I know I am going to get news, good or bad, but especially bad, I want it immediately. I am a dive into the cold water kind of a person. But sometimes waiting is good. It reminds us that we can handle more than we think we can, it provides other answers and avenues we may not have thought of in our haste, it reminds us that we have loved ones who are there for us, and it gives God a chance to work and to come into our lives in a new or unexpected way. If you are waiting for something, news--good or bad, a job, a significant other, a baby, whatever it may be, remember to be calm as you wait and strong, God's timing is perfect. **OOPS--I used the wordpress code so the links are showing up on another page--please make sure and visit! I am worried if I change it now I will lose the links. Sorry--lack of sleep! Thanks all for prayers for my hubby! We found out last night that the cyst in his back is not cancerous--praise God! However it is wrapped around his spinal cord and will require a fairly extensive surgery, so I will covet your continued prayers. He is in so much pain, and let me tell you my husband has a very high pain threshold. Hoping surgery can be soon, but specialists are so hard to get into see. Thanks again--knowing others are praying helps keep me sane! 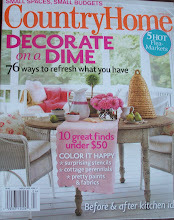 Room by Room showed us a cute as can be penny jar--what a fun gift idea! 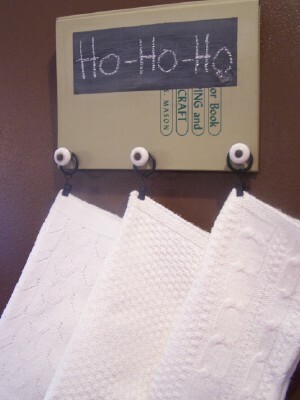 What a fun and simple scarf from All Things Heart and Home! 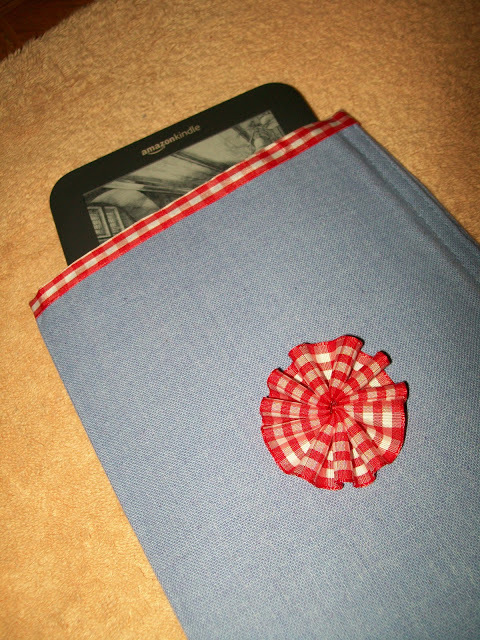 Are you Jonesing for a Kindle like I am? Well if you happen to receive one or have one you need to make a cute cover for it like 20 Something did. 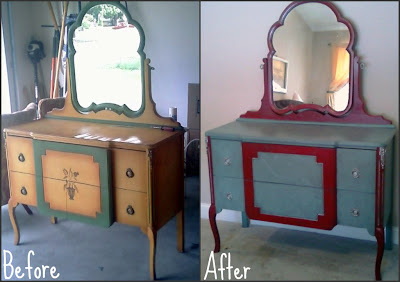 What a beautiful dresser redo by Frou-FruGal! 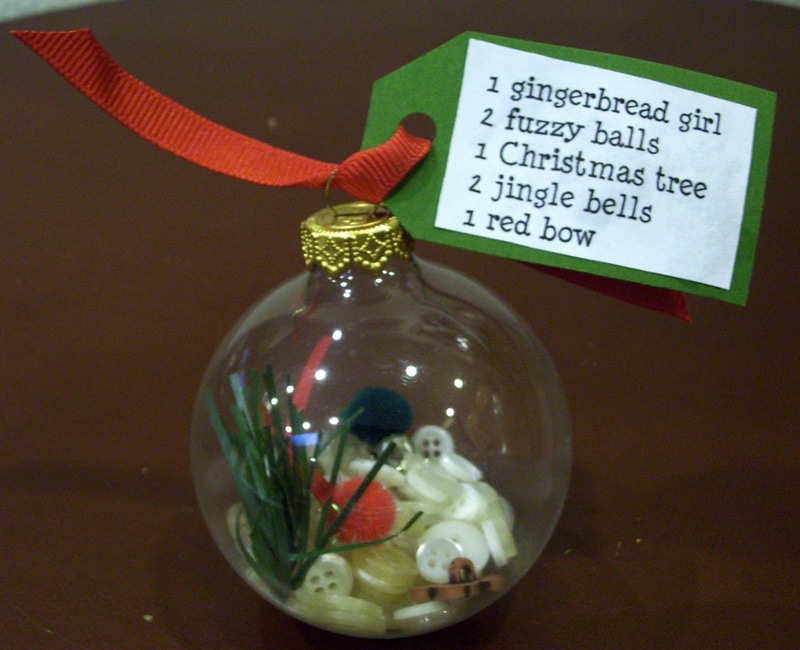 This I Spy ornament from Barnes Family Love is so fun and innovative. It's Always a Party at the Parkers showed off the most fabulous Advent Graland. 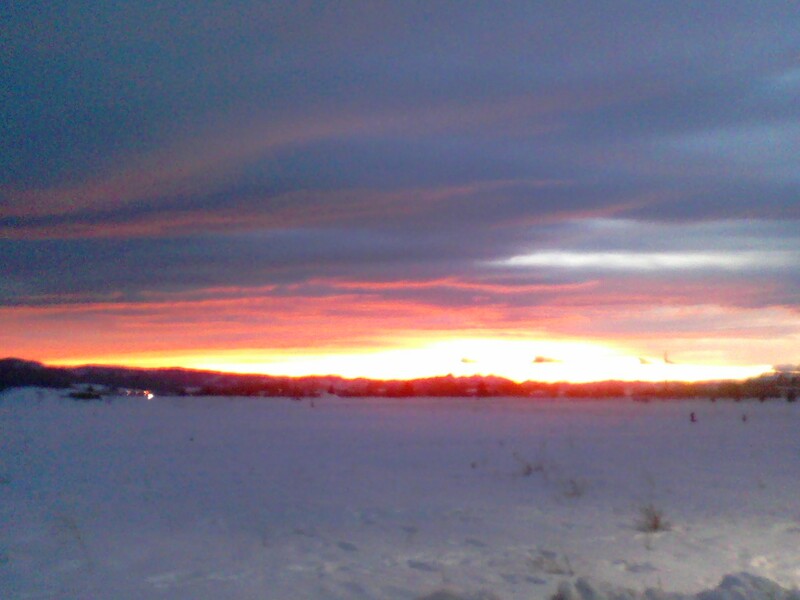 I love sunrises and sunsets (I must admit I don't see a lot of sunrises). The other night the sun was setting as my daughter and I were rushing from Target, to get home to start dinner, to get middle kid to basketball practice. But the sunset was amazing (much better than this cruddy phone picture is showing). And I knew that we needed to drive somewhere that we could appreciate it a little better, so we did. And we sat for a few minutes in quiet, appreciating God's handiwork, breathing and thanking Him. I was reminded that in this busy season, we need to take time to simply be still and know that no matter what craziness is going on in our lives, He was, is and always will be God! I needed that reminder, especially as we wait for some health news about my husband. In case anyone else out there needs that reminder too, I had to share. On the 12th (not consecutive) day of Christmas Beyond The Picket Fence Showed me...how to make an old book Christmasssy. 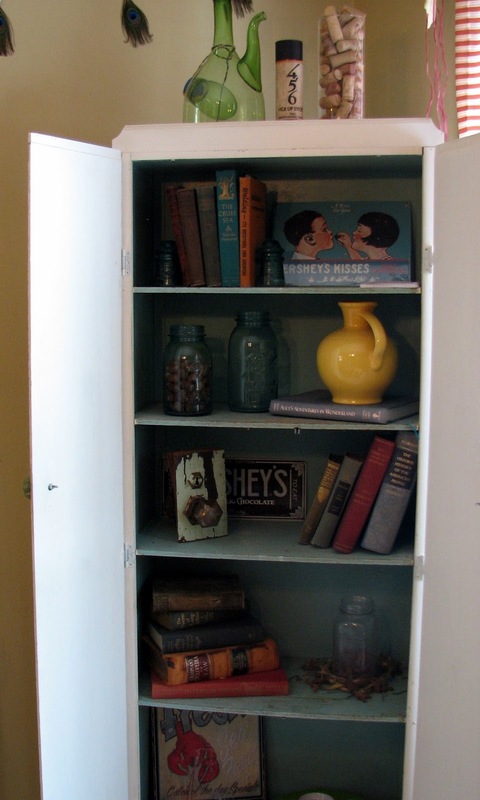 I have a confession--I love old books, I hoard old books. I love their fabric covers, and their yellowed pages, and the illustrations, oh my. But, I don't do much with them. Partially, because I feel badly tearing them apart and partially because well, so many books, so little time. I decided they aren't doing much for me sitting in suitcases so it is time to use them. So, here are a few Christmas ideas using old books. 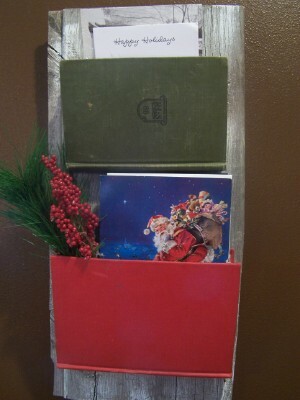 First, I made a Christmas card holder. 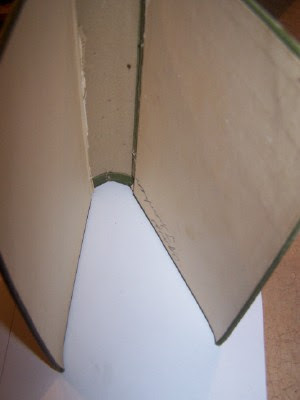 I cut out the innards of the book and traced it on its side for a gusset. 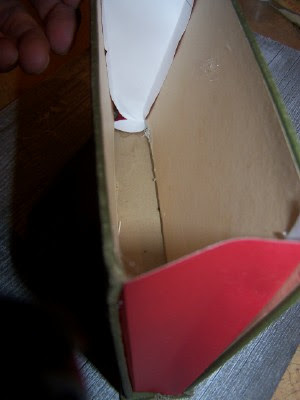 I used scrapbook paper, but you also could use fabric, which is more sturdy. 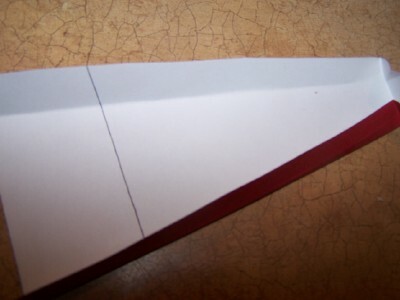 Next, fold up the sides of the gusset. 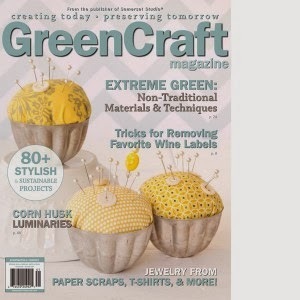 Hot glue to the book cover. I then hot glued these to an old piece of wood. You could screw them in as well if they were to hold heavier items. I want to stick some candy candy canes in them as well, but I don't have any yet :(. 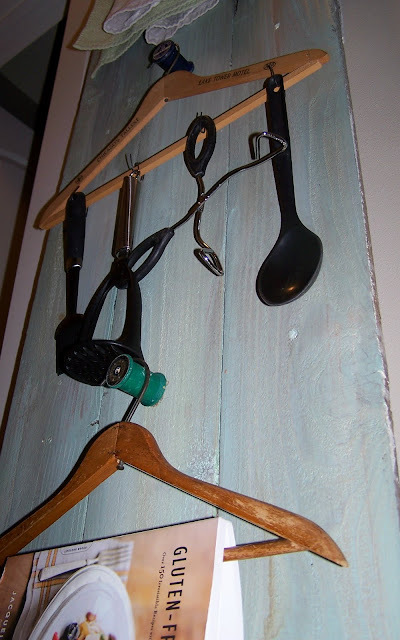 I also made a stocking holder (also great for keys, etc. after Christmas). Again, I took out the innards. 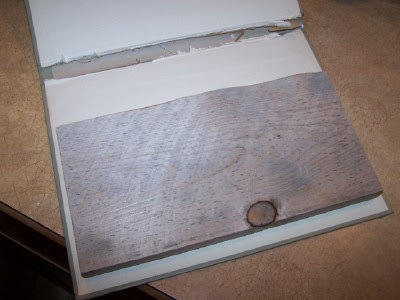 I glued a board in there that was the same thickness of the book so that I was screwing the hooks, or in this case old knobs, into something secure. 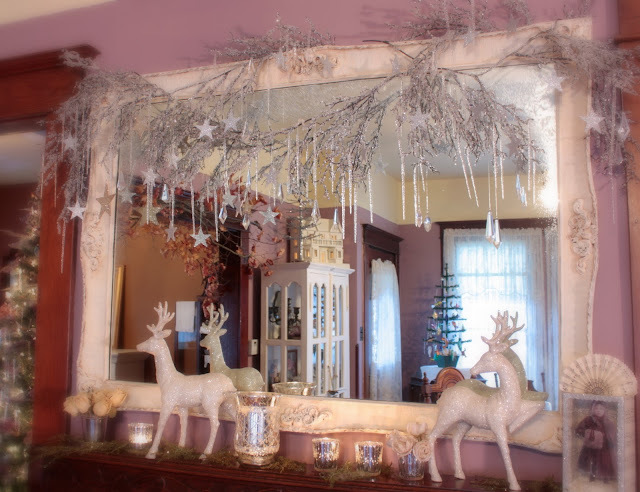 There is so much you can do to decorate this. 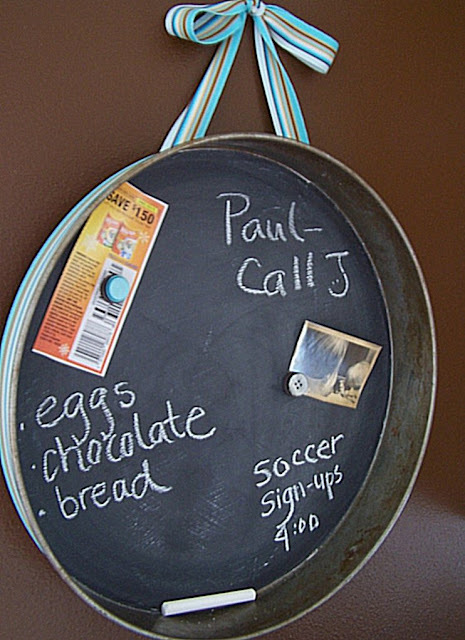 I added chalkboard paint (writing messy--only had big hunk of sidewalk chalk), but you could decoupage a picture from a book, use some vinyl, or even spell out a word with junk like I did on Day 8. 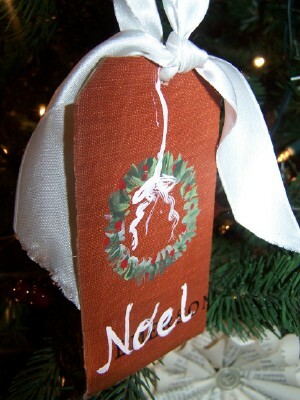 A few smaller ideas include tags and ornaments cut from the book covers--just a quick little paint job. I originally showed you this idea here. 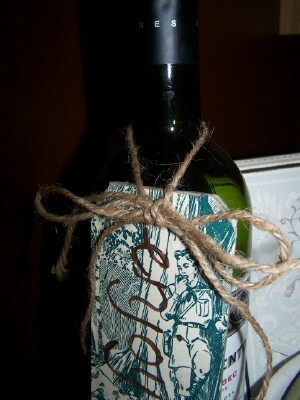 I love these tags for a bottle of wine, tied to a gift, or simply hanging from the tree. And hey, nothing says Christmas like a native about to be hit with a club (it is green and red!!). 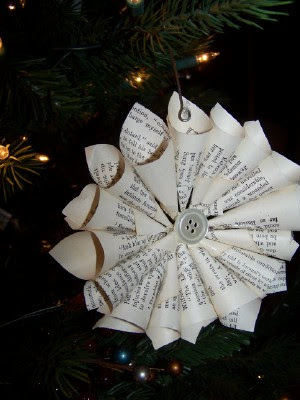 And I know you all have seen the book page wreaths. How about a miniature one for an ornament? 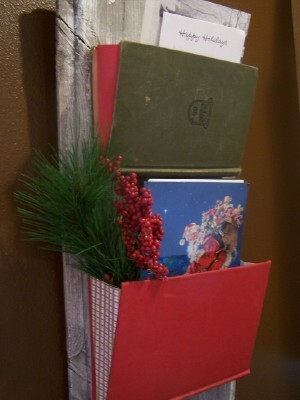 There are so many other fun ideas for old books--use your imagination! 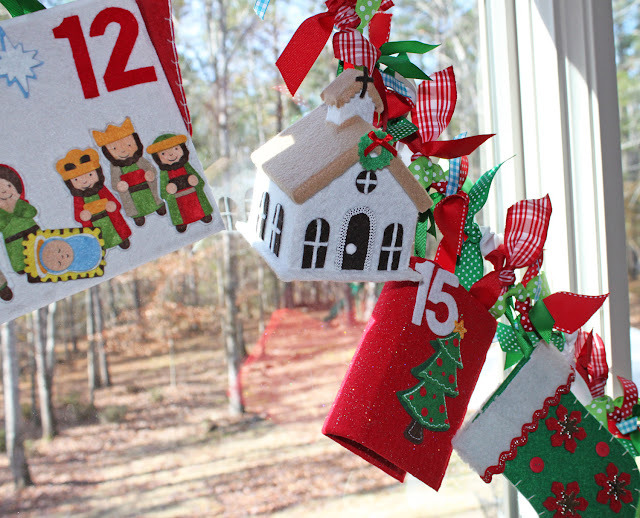 Thanks for joining me for my 12 Days of Christmas--I hope you found an idea or two that inspired you! 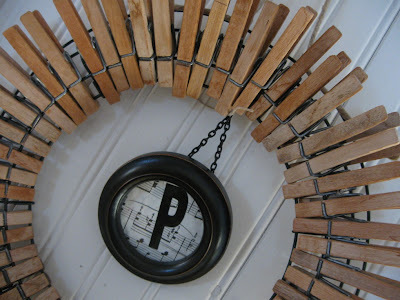 Find more great ideas at Funky Junk Interiors and Finding Fabulous.